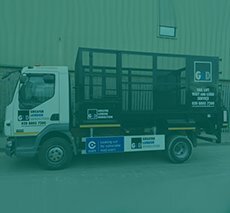 To provide our customers with a safe, cost effective and environmentally friendly waste management and disposal service. 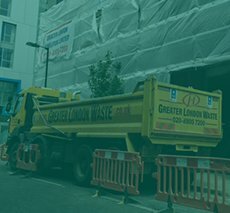 Being one of the leading waste management and recycling companies Greater London Waste Disposal Ltd recognises its responsibility to protect the environment and endeavours to deliver the highest environmental standards. Regularly review our environmental performance to identify where we can improve our operation. Develop methods of waste recycling and recovery consistent with landfill diversion objectives thereby helping to conserve the Earth’s resources. Collaborate with our customers and suppliers to minimise the effects of our joint and several impact on the environment. Ensure that our management team understand their responsibilities in implementing this policy. Train our workforce to understand how environmental risks can be reduced at a local level. Reduce consumption of fossil fuels by using local providers of goods and services. Advise our customers on effective methods of source separation of wastes to maximise recovery of materials and thereby minimise pollution. Set ourselves targets and time frames for improved environmental performance and use key indicators to monitor such performance. 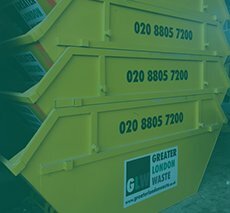 Greater London Waste Disposal process all the waste collected from our customers through licenced recycling stations in order to recover and recycle the majority of waste materials. Inevitably however, there are some residues from the sorting and segregating process that are unsuitable or uneconomic to recycle. 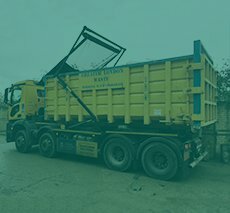 These materials are currently sent to landfill, but we recognise that increasingly powerful legislative and commercial forces will require us to improve the amount of recycling and recovery. We therefore have a policy of continuous review of disposal methods and during the next 10 years aspire to eliminate landfill disposal. 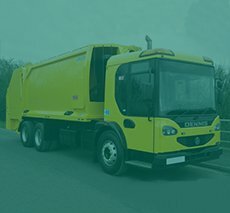 In addition, by promulgating the waste hierarchy we expect to enhance the environmental reputation and public perception of our customers and our company.